The Code25, Code49, and Code61 are engineered to be all-in-one controller solutions for comprehensive interfacing and manipulation of virtual instruments, effect plugins, DAWs, and more. This articles walks through how to setup the Code series controller with Pro Tools. The M-Audio Code series is a class-compliant MIDI device. A class-compliant device is one that doesn't require extra drivers to connect your Windows or Macintosh computer. Class compliant devices use drivers which are built into the host (i.e. the computer) operating system. 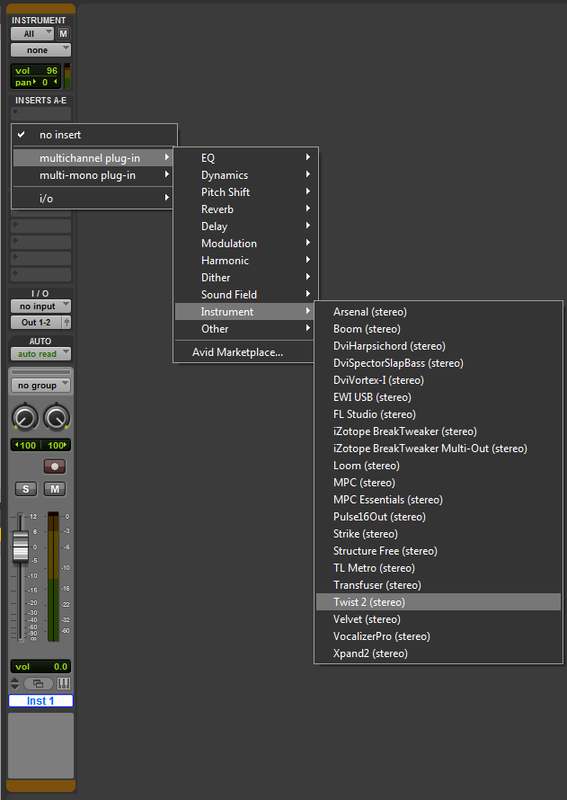 Begin by connecting the M-Audio Code series to a free USB port on your computer. We recommend going into the back of your computer, as this is closest to the power supply. This will provide the most power necessary to the controller for optimum performance. After connecting the controller to your computer, Windows will install the driver necessary for the M-Audio Code series to communicate with your computer. If you are having trouble connecting, check out our guide on Troubleshooting Class-Compliant USB Devices for some steps to check your connection. Hold down the SHIFT button and hit the C# key labeled "MACKIE/HUI" until the display reads "HUI"
Your transport should now be sending as HUI. To allow some flexibility, the knobs, faders, and assignable buttons can send as MIDI CC, Mackie/HUI, or HID, but for our purposes with Pro Tools, we want to set these to send as Mackie/HUI. Each bank of parameters will have a "Mode" button that will change colors based on the mode the parameters are set to. Simply, hit each mode button until it lights up green. The screen should read "MACHUI" to confirm. Click Setup and navigate to peripherals. Click on the MIDI Controllers tab. Select the MIDI Controllers tab from the window that appears. Click the first "Type" drop-down menu and select HUI. 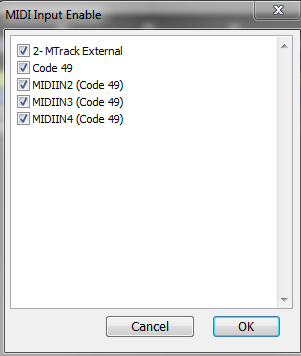 In the "Receive From" and "Send To" drop-down menus, select MIDIIN3 (Code 49). This may be labeled as Mackie/HUI on a Mac. Make sure that 8 is selected in the # Ch's drop-down menu and click OK to close the window. Click on Setup again and choose MIDI. Choose Input Devices in the window that opens. Make sure your Code Series keyboard has a check in its box. Once this is confirmed, your keyboard is now setup with Pro Tools. 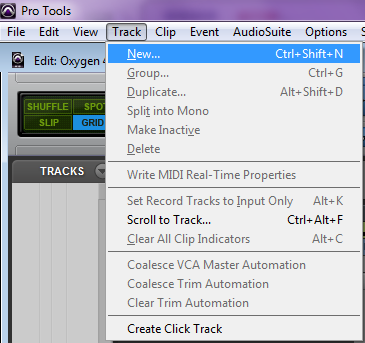 In Pro Tools, go to Track > New. 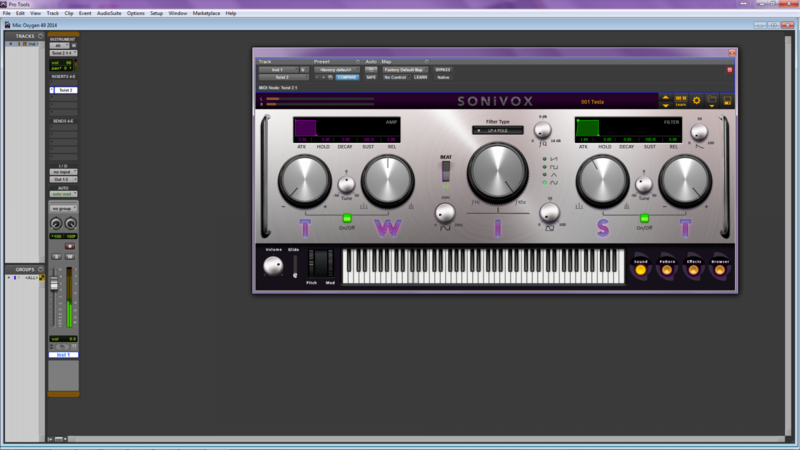 Create a Stereo Instrument Track and click OK. Choose any open Insert on the new track and select a Multichannel Instrument Plugin. 4. 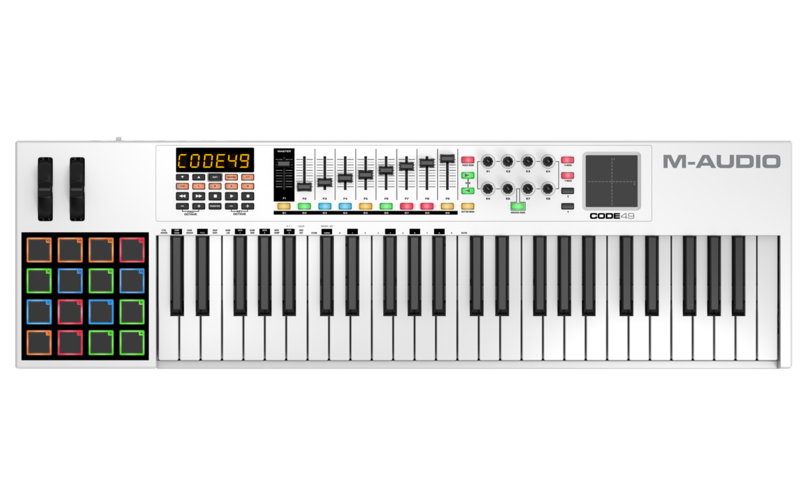 The virtual instrument should be controllable with the Code series keyboard.